Last Thursday, the Sun Country pilots’ union (ALPA) sent a letter asking the National Mediation Board to schedule one final meeting with the company to seek agreement on a new contract. Should that effort falter, we are hearing echoes of the Humperdinck song: “Please release me, let me go.” After five years in negotiations, one of the longest in recent history, a release by the Board would enable the parties to choose binding arbitration, or more likely, the clock would start ticking for a 30 day countdown to a strike or shutdown. 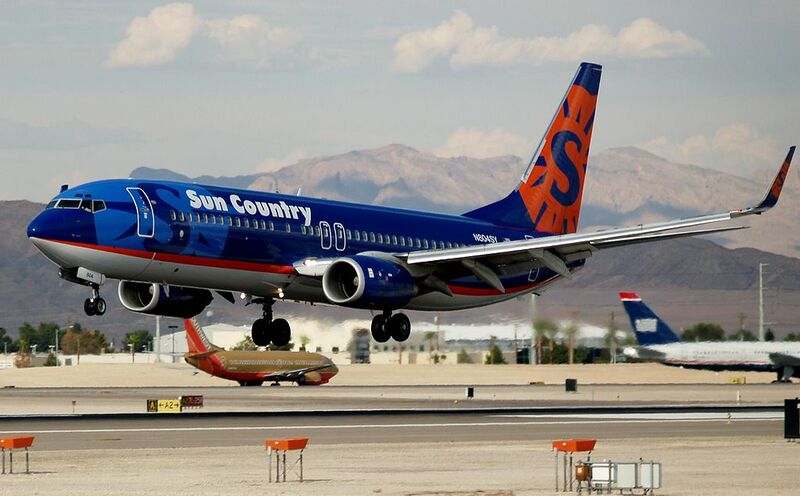 The good news for Sun Country flyers is that the parties were not released from federal mediation this week. Their last mediation meeting May 27-29 was a “trunk slammer,” with the pilots and management leaving a full day early with no material progress. The National Mediation Board is holding the pilots and company at bay for at least one more meeting. That gives consumers another 9-10 week window (time to schedule a mediation meeting plus 30 day cooling off period) when they can confidently fly Sun Country without worrying about a shutdown or picket line. After five years at the negotiating table the two sides are shockingly far apart. Current hourly pay for a top end Sun Country captain is $127 per hour, the lowest Boeing 737 rate in the United States (According to Airline Pilot Central). In May, the Pioneer Press reported that Chairman Marty Davis threatened Sun Country’s ultimate shutdown if the pilots declined his “last and final offer” of $137 per hour. Last week, sources disclosed that Davis has not moved off that stance. On the other side of the table, ALPA has stated it is seeking the industry average rate of $170 per hour. That translates to the company offering an 8% raise while the pilots want 34%. Clearly, a lot of ground must be made up to reconcile those positions. While negotiations appear to be in grim shape, our investigation has discovered that Sun Country’s consumer protection policies are dramatically unprepared. In May we wrote about the striking similarities between Sun Country and the five day Spirit pilot strike in 2010. Spirit turned into a pumpkin at midnight on the 30th day of the strike countdown. More than 50,000 passengers showed up for their flights on June 11th only to learn that Spirit had cancelled their entire schedule. Disrupted Spirit customers were stuck buying new tickets from scratch or using busses or trains. That same scenario would appear to play out at Sun Country today. We talked to Sun Country reservation and airport agents and they stated that in the event of cancelled flights, the customer is provided a refund and then must buy a new ticket on another carrier. As many Spirit travelers learned, that can be a very expensive proposition to buy a ticket for travel the same day or the next day. Then we searched other major carrier tariffs (American, Delta and United) to see if they can accept Sun Country tickets for rerouting and the answer is “No.” Finally, we talked to Southwest airport agents at MSP and they said the same thing. They cannot accept Sun Country tickets and would require a stranded passenger to buy a new ticket on Southwest. Please note that Sun Country corporate communications has not replied to our request for information about passenger protection policies. All is not lost. Cinderella is still a princess and the strike countdown to midnight has not begun. The negotiation stalemate bides time for Sun Country to negotiate a cooperative agreement with another carrier to protect its passengers. Or better yet, strike a deal with its pilots in the nick of time. Retired after 31 years in marketing and operations with United and Northwest Airlines, Tony has been published by MinnPost, Minnesota Connected, Air Cargo News, The Forward, CNS Air Cargo Focus, TC Daily Planet and the Rake. He has won a Silver Addy award in Advertising and launched United Cargo’s Friendly Skies ad campaign in 2014.